I was laying awake in bed the other night and decided to go through and clean up my Pinterest account. I went through boards I haven't used in a year plus, and pins that weren't my style or interest anymore. Going through all my 11k pins helped me get rid of some old pins and also gave me some inspiration from pins I hadn't seen in a while. So today, I wanted to share some of my favorite pines with y'all. 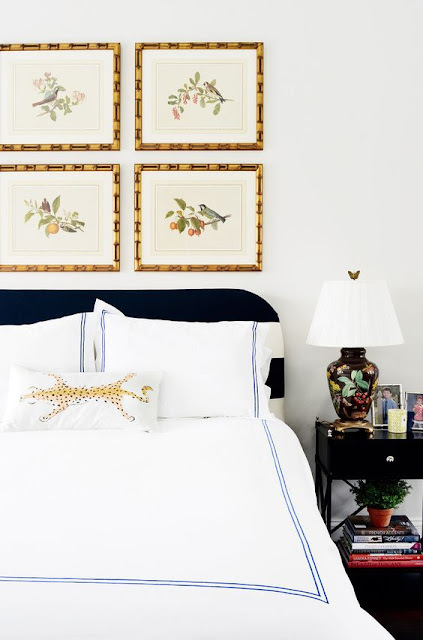 A little Monday inspiration, if you will!! This Ralph Lauren lamp is pretty much at the top of my wish list. I have been looking for it to surface at a Home Goods or TJ Maxx near me. 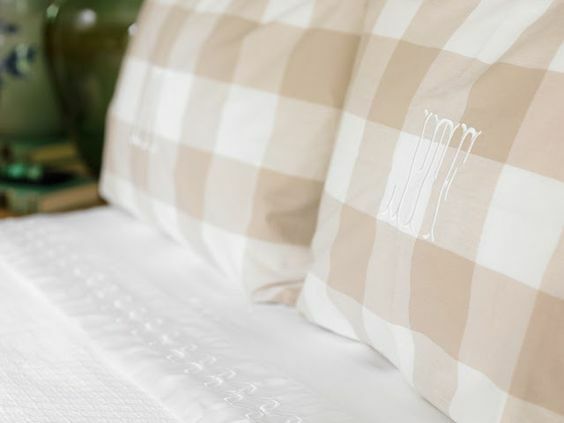 These shams need to find the way to Our Magnolia Home ASAP! 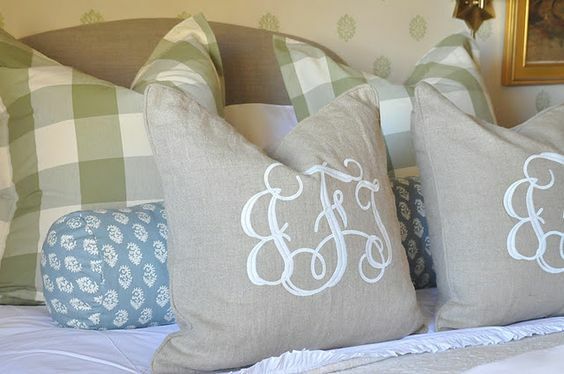 They would look perfect with our bedding. Plus I do have a weak spot for tan and blue buffalo check. 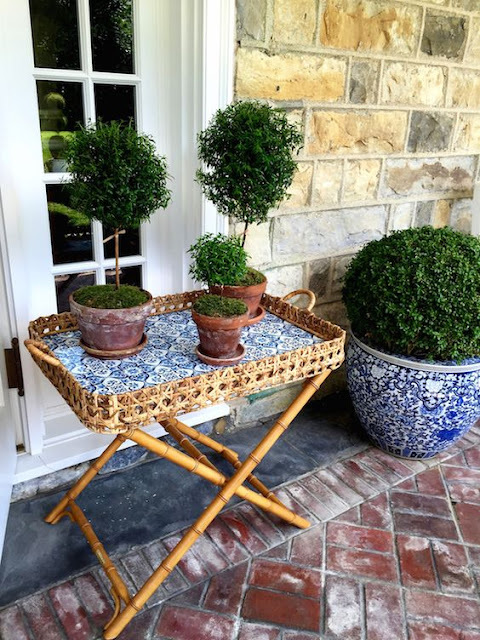 This bamboo tray is similar to the one that I scooped up for $13 last week at TJ Maxx! I think it would look perfect filled with some topiaries. 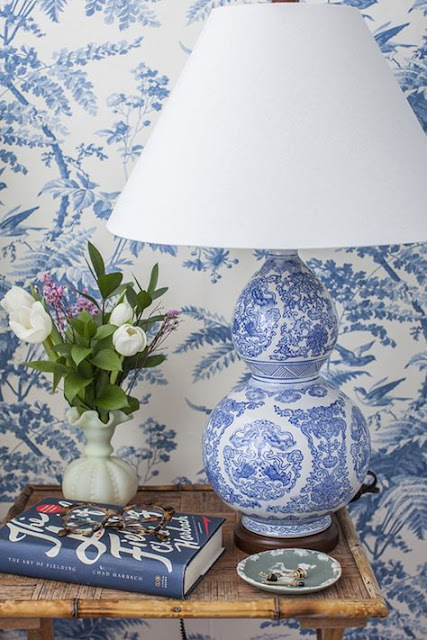 And can we talk about that blue and white pot?! AMAZING! 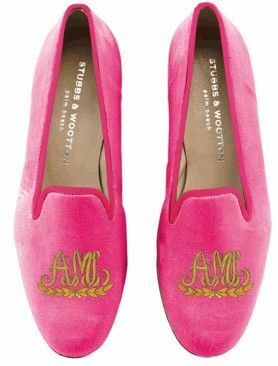 Oh how I would love a pair of monogrammed Stubbs and Wootons! This outfit is so me, except I would have a navy tee on instead of black. I love those Hermes sandals. 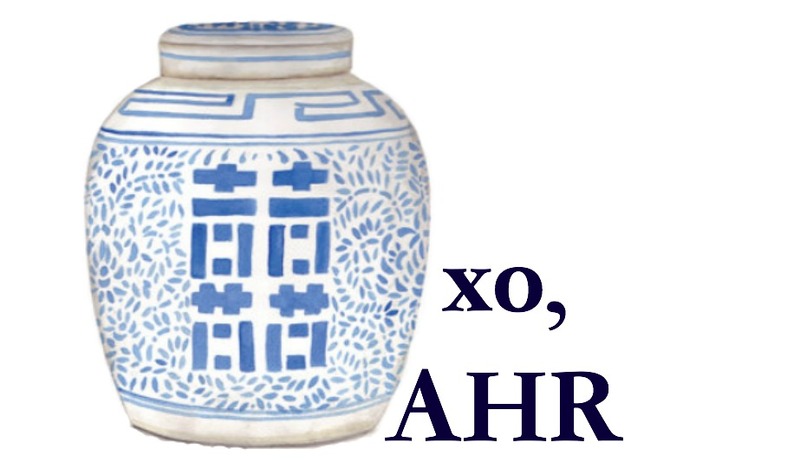 Happy Monday, y'all! I hope you have a great week. 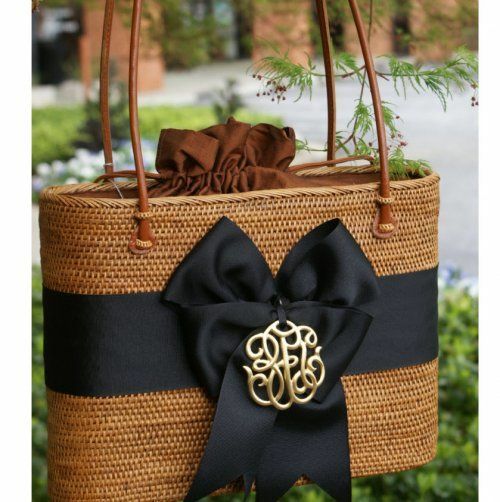 what is the source for the brown straw tote with bow and initials?